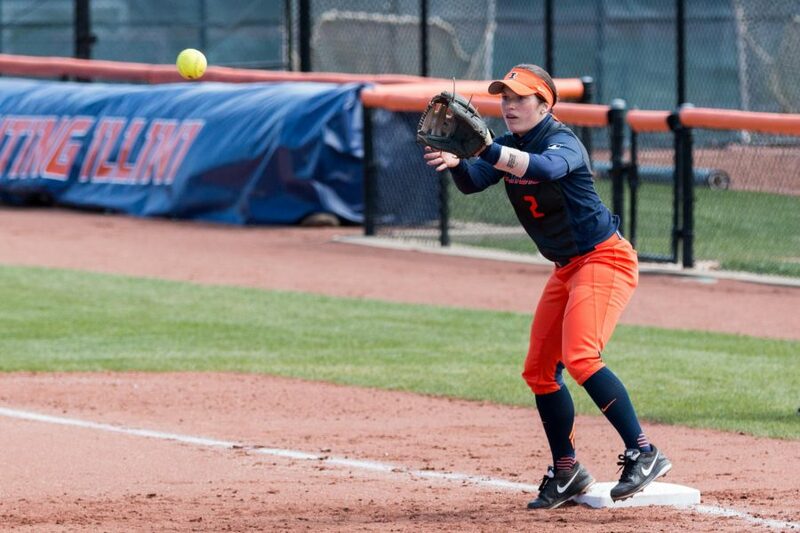 Illinois first baseman Alyssa Gunther gets ready to catch the ball during game two of the series against Nebraska at Eichelberger Field on Saturday, April 2. 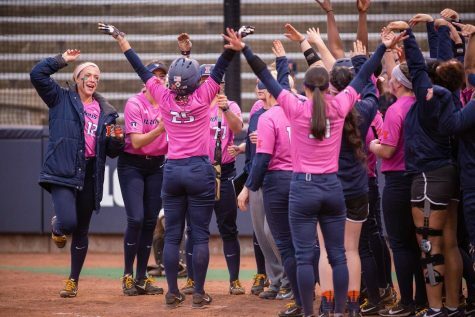 While slap hitting might not be considered a flashy play, it is underappreciated and valuable to a softball team’s success. 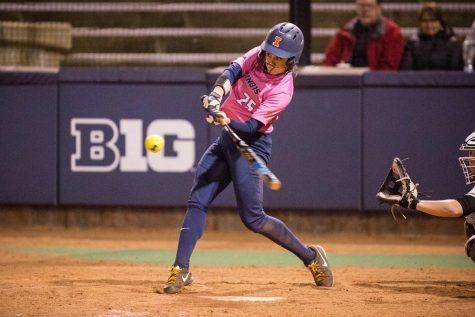 The hitting technique is defined as a batter who runs at the pitcher as she swings while trying to hit it to the left side of the field. The runner then tries to utilize her speed to get on base. 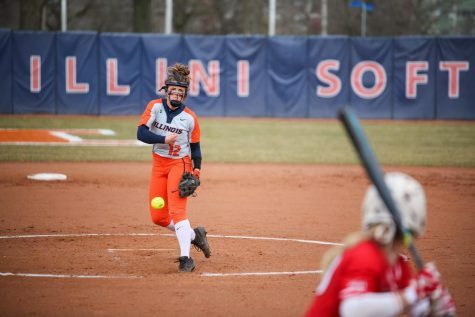 The Illinois softball team has been successful so far at utilizing this style. 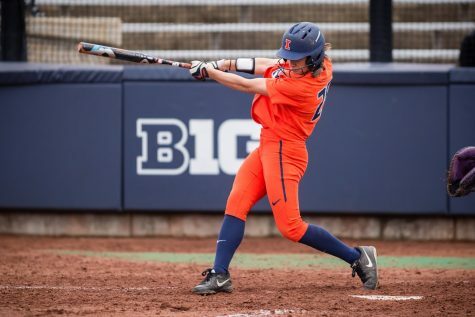 The Illini’s primary slap hitters have a combined batting average of .322 and an on-base percentage of .364. 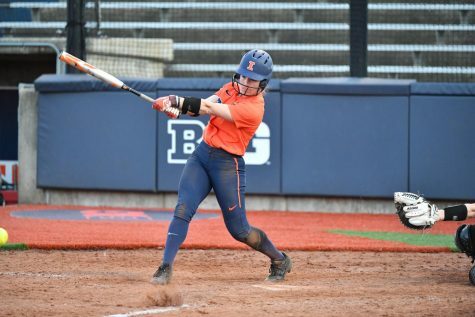 Senior Alyssa Gunther leads the Illini’s group of slap hitters. 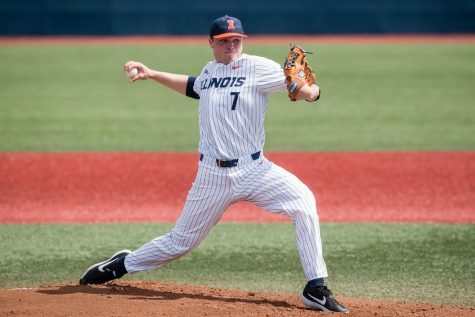 The first baseman from Tinley Park, Ill., is having a strong individual performance this year at the plate. She’s batting .331 with an on-base percentage of .412. The senior also has 43 hits on the season. 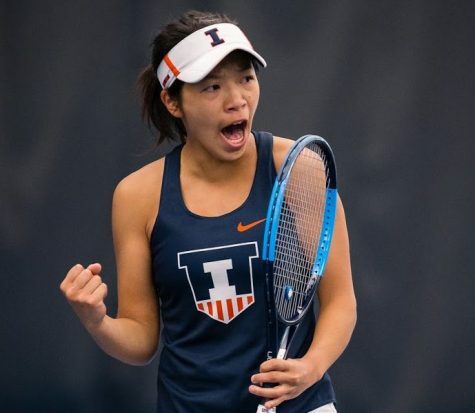 Gunther said she has learned a lot about herself as a slap hitter over her years on the team. Power slapping players swing harder, looking for line drives instead of grounders while running at the ball. 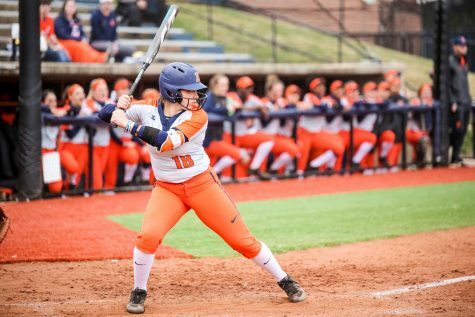 While Gunther is more of a power slapper, junior Sam Acosta said that she focuses more on just making contact when she slap hits. Acosta is having a solid season at the plate, batting .286 with an on-base percentage of .310. 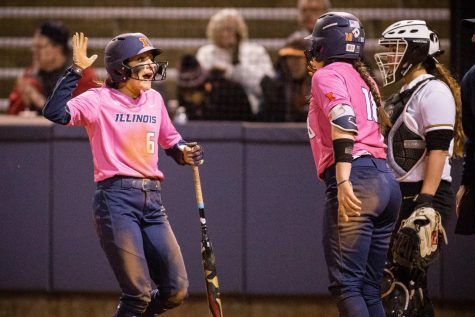 Perry credited her slappers’ success so far this season to their ability to feed off one another —something that is easy to do when they are so close to each other in the lineup. Acosta and junior Leigh Farina bat seventh and eighth in the lineup, respectively, while sophomore Kiana Sherlund and Gunther bat first and second, respectively. By the second or third inning, the slap hitters bat practically back-to-back. 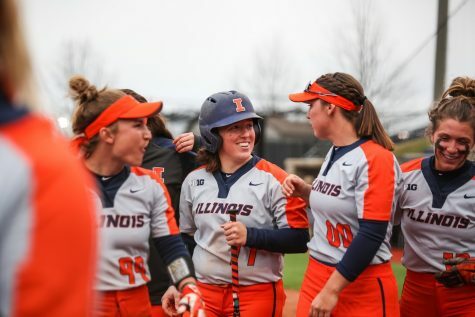 This sets the table perfectly for Illinois’ power hitters like senior Nicole Evans and sophomore Stephanie Abello, who are batting a combined .360 with 25 home runs and 79 RBIs on the season. One reason Gunther feels the slap hitters have been successful this season is their control at the plate. Their ability to put the ball wherever and whenever they want has given them an advantage this year. 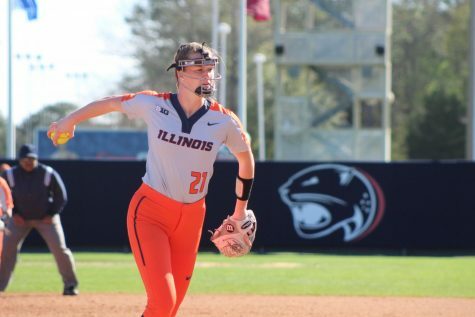 Gunther will be looking to connect on her ideal slap hit through the left side of the infield when they face off against Wisconsin in the first game of a three-game home set, starting April 28.